Research shows that healthier people are happier, more productive, and more efficient than their sluggish counterparts. If people are unhealthy, they’re generally tired, unhappy, and less able to concentrate on the task at hand. According to a study conducted by Gallup, the average cost per-person for lost productivity through absenteeism is around $28,800 a year for people with the lowest well-being scores. Alternatively, people with high well-being scores only cost $840 annually. The huge cost differential between healthy and unhealthy employees is the reason why many employers are beginning to focus more on robust corporate wellness programs. The active promotion of corporate wellness makes companies 2.5 times more likely to achieve status as a “top-performing organization”. In other words, a successful wellness program can attract and retain the best talent in an industry, while driving meaningful business outcomes. However, companies must first understand what an effective wellness initiative looks like. While one employee may need wellness assistance in dealing with addictions like smoking, or changing eating habits, another might be better served by employee counseling or gym memberships. 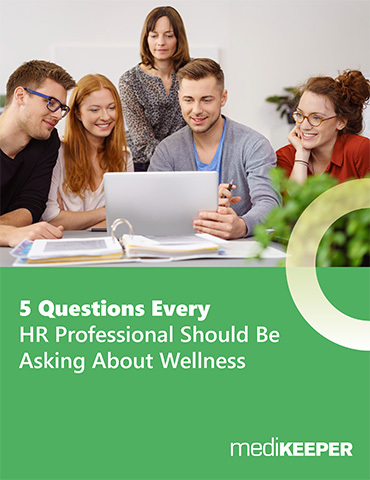 For a wellness program to work, businesses first need to ask what employees need, and how those needs can fit with the goals of the company or industry. Usually, this involves constructing a plan for a personalized approach to wellness that makes connections between company ambitions, and the health requirements of staff. A simple risk assessment offered by an insurance carrier, followed by company-wide surveys could be enough to start gathering the data required for effective wellness solutions. Don’t try to force everyone into the same category with one push for healthy eating, or a company-wide bid to quit smoking. The people who these options don’t apply to won’t benefit, and your business will lose an opportunity to show staff appreciation. Just like any other corporate objective, it’s important to make sure that the steps you put in place are actually making a positive impact. Identify some desired goals, such as fewer absences, improved productivity, or even happier employees, and find ways to measure the outcomes. While implementing as many concepts as possible, from in-house gym facilities, to professional corporate massage therapists might be a good way to cause an initial stir, you’re still running a business, which means that each investment must have some impact on your profits. Usually, the best measurement methods include performance metrics, surveys, insurance company loss data, direct healthcare data, and even social-media polls shared around the office. Not only will measuring your results help to ensure you’re spending your budget properly, it will also show employees that you have a real interest in their well-being. With goals in place, it’s important to communicate them to everyone within the organization so that they become a priority. Try to frame your goals in a way that illustrates benefits to the employees (not just the organization), and position the wellness program as a gift, rather than another chore. Keep in mind that wellness programs will only work if everyone gets involved: that means representing your goals as a collaborative effort promoted by everyone from staff members, to leadership and managers. When senior leaders go public about their participation in workplace initiatives, other employees are inspired to participate. There are even ways to incentivize the wellness concept with gifts and vouchers for staff that make the most progress. If you want any corporate program to be successful, you need to engage the entire workforce. 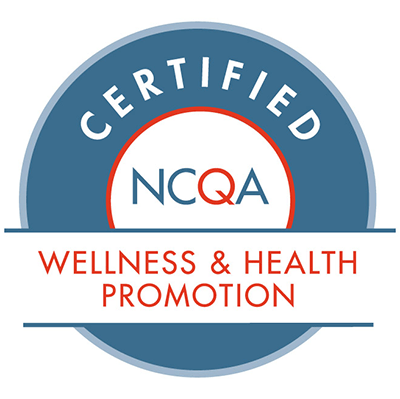 A good, comprehensive corporate wellness program provides plenty of advantages. In most circumstances, the outcome of these initiatives pay for themselves in benefits like higher job satisfaction, lower absenteeism, better employee retention, improved work productivity, and lower healthcare costs. Something as simple as access to groups and friendly meetings can help employees to avoid negative habits like alcoholism and smoking. A corporate gym that gets people to exercise can encourage fewer lost work days as employees begin to build up stronger immune system. From reduced workplace stress, to fewer dollars spent out on health insurance, a wellness program can be one of the most important investments the modern business makes. What do your workers appreciate about your corporate wellness program? Have you noticed any differences in performance and efficiency since the initiative began? Let us know in the comments below!